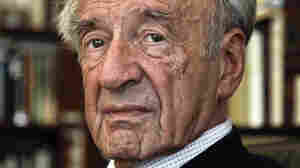 Elie Wiesel NPR coverage of Elie Wiesel: News, author interviews, critics' picks and more. April 7, 2008  During the Holocaust, Elie Wiesel's family members were killed in Nazi camps, and he was held at Buchenwald. The Nobel laureate came to believe it was his job to share his memories of the atrocities.